It's true. Cisco Nexus Titanium is finally out. And it is up and running. Now it may not support everything that you were expecting but it will give you at least a basic idea and a feel of the great Cisco Nexus. At least, the CLI will not fail to keep your spirits up. What is Cisco Nexus Titanium ????? Simply put, Titanium is Cisco Nexus' emulation on your VMware machine. You want to get a feel of Nexus, but can't afford to buy one / your company doesn't have one..... try Titanium. Ok, now you have downloaded it.... What next ??? Double-Click on N7K-2 (.vmx) file.... Your VMware will open up and Power on the Machine. Now, don't let the above message bother you. Now again start your VM. You will again get the warning. Just ignore it, minimize it and connect using PuTTY as above (using serial). Wait for some time for the Nexus image to boot and then login. The login credentials will be visible in the PuTTY window. This file is required to power on this virtual machine. If this file was moved, please provide its new location. Where as file is present in the extracted folder. Praveen, I am also getting this error. Do u have any solution for this. Thanks, This worked like gem. Will explore it further. Thanks for info its working gr8 !!! Can someone tell how to create multiple sessions of Nexus Titanium in VMware so that we can simulate 2 Nexus 7Ks and can connect each other for vPC scenarios? In vmware workstation I have 2 Vms. 1 Windows VM with Putty Client and other is Cisco Nexus Titanium VM. 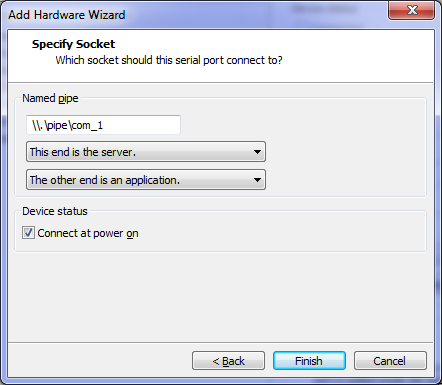 unable to open connection to \\.\pipe\com_1 unable to open serial port. 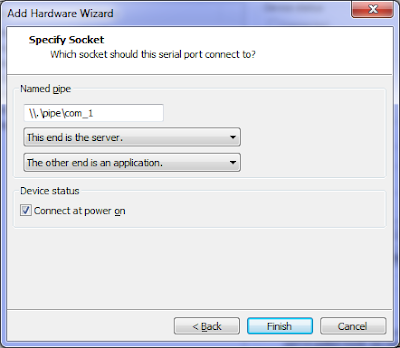 On Windows VM i have added serial port. Open Putty, get [COM1] error: "Unable to open connection to \\.\pipe\com_1 Unable to open serial port." (Same as user "Hari", please advise). How to simulate two switches and test vdc and vpc ? how do you get around the putty error Open Putty, get [COM1] error: "Unable to open connection to \\.\pipe\com_1 Unable to open serial port." (Same as user "Hari", please advise). I think what we need is the ova file itself, because if I duplicate the switch and connect them to each other, they would have the same switch base MAC Address and therefore spanning tree will not work. no the mac address is different...! The VDC's are not crating in the titanium....the module is not online...Ethernet status is unavailable....there is no pinging success between to different network.....any solution for this...?